By Charles Boehm – WASHINGTON, DC (Jan 22, 2019) US Soccer Players - It’s been winding its way through FIFA’s adjudication systems for nearly four years. Now it seems that a verdict may finally be nigh on Seattle-area youth club Crossfire Premier’s legal pursuit of solidarity payments relating to their former player DeAndre Yedlin’s 2015 transfer from the Seattle Sounders to Tottenham Hotspur. The fate of the Yedlin case, along with parallel ones relating to Michael Bradley and Clint Dempsey’s youth clubs and those players’ later professional transfers abroad, still looms as potentially one of the most consequential off-field milestones in the modern history of the American game. A ruling in favor of the right of US youth clubs to collect solidarity payments and/or training compensation could shift the landscape of US soccer dramatically. A decision in the other direction could entrench the status quo with similarly far-reaching effects. That was one of several youth development topics discussed on the margins of the United Soccer Coaches convention earlier this month. Here’s a few others I heard about in Chicago and will be keeping an eye on this year. 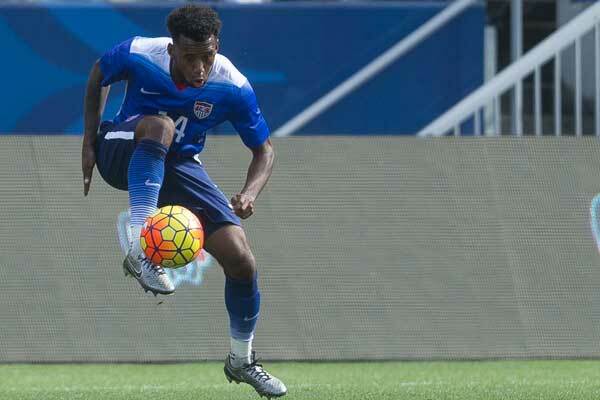 FIFA’s bureaucracy has taken ages to process the US clubs’ petitions for compensation. That said, all involved are bracing for the impact of a significant ruling, which could (supposedly) drop in the next month or so. Would the implementation of training compensation and solidarity payments (TC/SP for short) send money flooding into American grassroots soccer and alter the landscape with a whole new set of incentives and beneficiaries? Could we enter a brave new world of player development? Or would the current scene just get that much more chaotic? No one really knows, which fuels the jitters of this waiting game. 1) Whether FIFA will force the US to adopt international norms on player transfers overseas like Yedlin’s move, and others like Christian Pulisic’s move to Chelsea. Sources close to the situation have told me that Crossfire’s legal team and the federation have already held preliminary discussions on a compromise solution for the second item. We might well hear a whole lot more about such ideas in the months to come. For years MLS appeared to be an obstacle to TC/SP in the US. League officials long kept in lockstep with USSF execs on the party line that they wouldn't implement the international system due to fallout from the Fraser vs MLS antitrust case in the late 1990s. MLS commissioner Don Garber effectively reversed that stance last year. 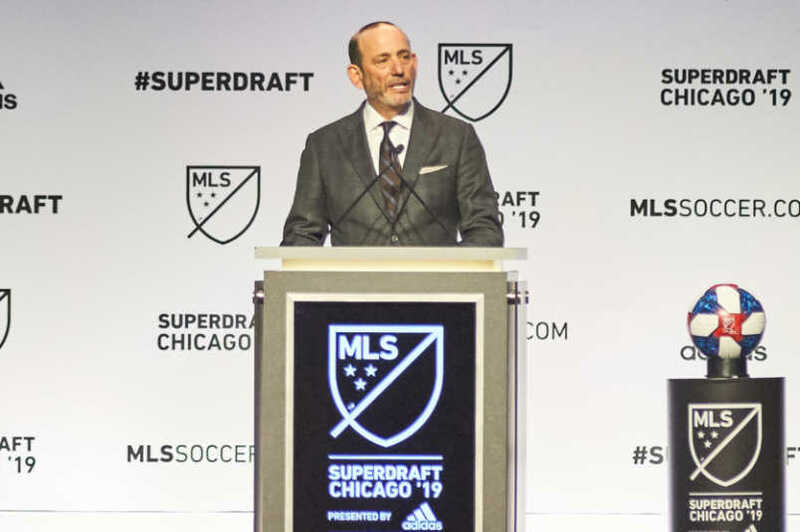 He announced his desire to increase the number and value of player sales abroad during his “state of the league” address just before MLS Cup 2018 in Atlanta. He fleshed this out during his media availability at the SuperDraft in Chicago. That sturdy partnership endures. Yet some small cracks might be appearing. During his “one on one” Q-and-A session at the convention, USSF talent identification chief Tony Lepore discussed the evolution in his field, overseen by the fed but led and in some cases sidetracked by the lessons of MLS’s entry into the development space. The perceived poaching of pro clubs, for example, has been a sore spot since the founding of the US Soccer Development Academy a decade ago. “When the academy started, I think a lot of clubs made a mistake and now they’re going back and focusing on this – they were either just seen as recruiters or there was no relationship, there was not even a discussion before a player moved,” said Lepore, who helped found and oversee the DA before shifting into his current scouting focus. Lepore was not specifically alluding to any particular clubs or group of clubs, and spoke in positive terms about the work of MLS and other pro academies. Recent years have nonetheless seen the conventional wisdom seesaw a bit. First, the DA expanded, going younger and younger in age all the way down to Under-12 level. Last month that changed, as pro clubs have focused on older kids. Themes like community and responsibility weren’t quite at the tip of Garber’s tongue. One sign that MLS and USSF are no longer in lockstep would be the league pulling their top academy teams out of the DA, or perhaps competing in their own division. The concept has been a rumor for years, one that finally emerged in public discussion this month in Chicago. Many MLS academy coaches believe playing less-talented opponents who sometimes have a different mindset or philosophy inhibits their players’ progression. They’d generally rather be competing with other pro academies, including more international opposition. Yet travel costs and logistics would make an all-MLS youth league like Liga MX’s very expensive to execute. Even as the league as a whole claims to spend nine figures annually on development, rumors abound of member clubs who’d eagerly shut down their youth academies if they had the choice. I’ve heard this said about several franchises, some based in large markets with ample talent in their backyard. Why? For some, youth development is more time, trouble, and expense than it’s worth. Investor/operators could spend those millions on established players, mostly from abroad, with more immediate return on investment, as MLS’ recent outlays on various allocation money mechanisms suggest. On first blush, at least, the idea of MLS retreating from the youth space to any extent sounds like a problem for the US national teams. As of now, every club in the league has to operate an academy. Could that change? What aftershocks might it send reverberating across the wider ecosystem? Or would those lacking full commitment be doing everyone a favor by bowing out? That’s one of many areas in which we’ll have to watch and wait as 2019 unfolds.